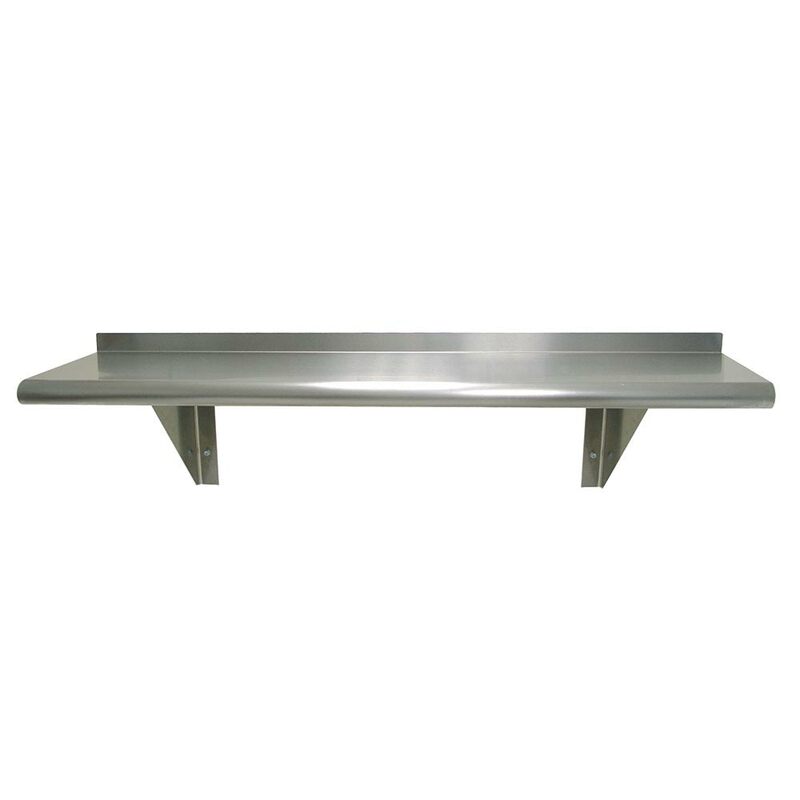 The Advance Tabco WS-12-72 wall shelf is made of 18-gauge, 430 stainless steel that is polished to a satin finish. The shelf secures to the wall with bolts through support brackets. These brackets can be placed to accommodate wall studs. Ends of the shelf are turned down square so corners are not sharp. It is furnished with a 15⁄8-inch bullnose edge with a 11⁄2-inch turn-up edge at the rear. The Advance Tabco WS-12-72 wall shelf is 72 inches long, 12 inches wide, and 101⁄2 inches tall. 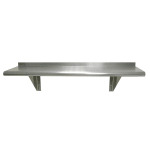 John Boos BHS1272 Stainless Steel Wall Shelf, 1.5" Backsplash, 12 x 72"